Our sources inside the Zimbabwe Electoral Commission (ZEC) have conveyed authentic information to 263Chat alerting us that the impatiently awaited Presidential Election Poll results will be announced by the election governing body at lunchtime today. 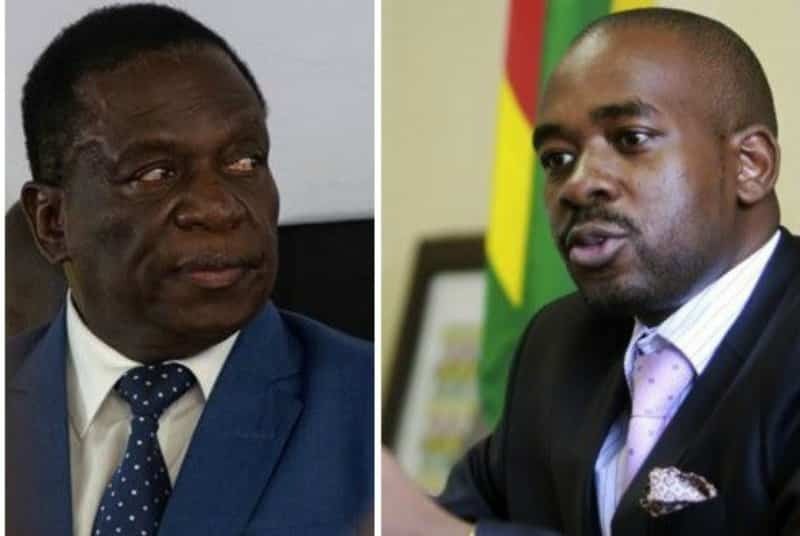 The race for the presidential seat has now been narrowed between MDC Alliance President, Advocate Nelson Chamisa and Zanu PF’s Presidential Candidate, Emmerson Dambudzo Mnangagwa. ZEC has already released National House of Assembly results in which Mnangagwa’s Zanu PF’s is leading with 109 Seats versus 41 Seats for Chamisa’s MDC Alliance so far. Stay tuned on our Twitter handle: @263Chat for all the elections real time updates and also watch our Live-stream via our Facebook Page: 263Chat.